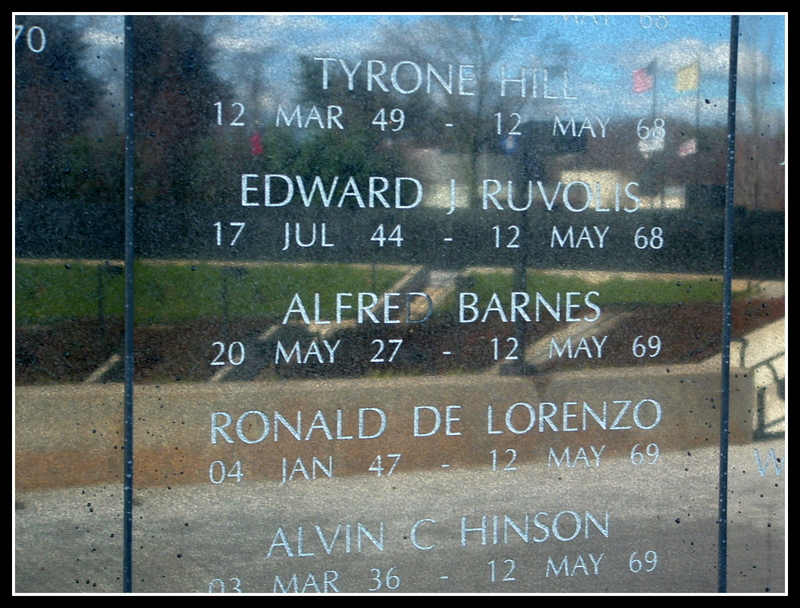 (May 22, 1969) -- Lt. Col. Alfred Barnes of 53 Ralph Street, Belleville, N.J., a 20-year career Army office, was killed during an enemy rocket and mortar attack in Vietnam on May 12. Mrs. Sadie R. Barnes, his wife, was notified by telegram of the overseas tragedy. Lt. Col. Barnes had a personal dream fulfilled when he assumed command of a battalion two months ago. On March 15, Lt. Col. Barnes had taken command of the 5th Battalion, 46th Infantry, a position of which he was very proud, his wife said. "This is something that he had trained for all the years that he had been in the service," she said. "He had always been a commander and he felt that battalion commander was the complement to the rank of lieutenant colonel." Mrs. Barnes added that her husband was very dedicated to the Army and felt very strongly that it was necessary to be in Vietnam. "I know that my husband was happy in his job and that he died happy in that sense," she said. "He believed that what he was doing was right." Lt. Col. Barnes began his service career at Ft. Benning, Ga., in 1949, after receiving his commission as a second lieutenant upon graduating in 1948 from Howard University in Washington, where he had been a member of the Army ROTC. In June 1950, he accompanied the first contingent of American troops into Korea and in the ensuing year participated in five major campaigns as platoon leader and rifle company commander. During the conflict he received seven citations which included the Silver Star with Oak Leaf Cluster, the Bronze Star with two Oak Leaf Clusters, the Purple Heart and the Korean Presidential Citation. Upon returning to the United States in June 1951, Lt. Col. Barnes spent two years with the 82nd Airborne Division at Ft. Bragg, N.C., and two years in the 1st Army area, which includes New York and the New England states. After completion of the infantry officers' advanced course in 1955, Lt. Col. Barnes was attached to the 10th Mountain Division at Ft. Riley, Kan., where he was a rifle company commander. The unit was sent to Europe for a three-year tour of duty which was cut short for Lt. Col. Barnes when he was injured in an auto accident in 1956. He was brought back to the United States and spent the next nine months in an Army hospital in Valley Forge, Pa. The 42-year-old soldier was station commander n the Army Personnel Center at Ft. Dix for three years before returning to Europe for a four-year tour of duty during which he was promoted to major in 1962. In 1964, he became an assistant professor of military science at Virginia State College, Petersburg, Va., and headed that department at Norfolk State College, Norfolk, Va., in 1965. Lt. Col. Barnes is buried in Arlington National Cemetery. Length of service 20 years.